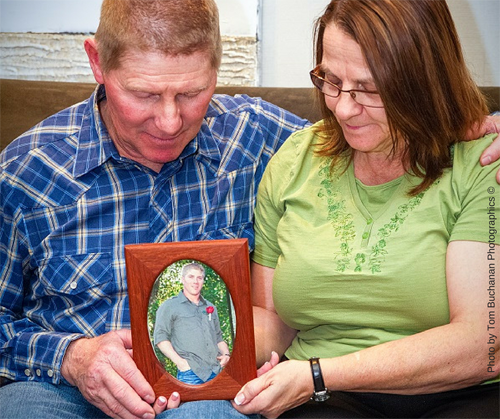 Family Forums are one of the important programs Threads of Life offers to support people affected by workplace fatalities, life-altering injuries and occupational disease. The Atlantic Family Forum takes place in June, with the Central, Prairie and Western Forums in the fall. At each forum, along with the family members, there are staff, partners and guests who do not have a personal experience of workplace tragedy. Here’s the perspective from one of Threads of Life’s staff members. My perspective of a family forum is different than most people who attend. I am not a family member. I work for Threads of Life. It is my job. In the two years that I have worked here I have come to learn that even though I am not a family member, I belong. I belong because I am surrounded by the most amazing, strong, resilient family members. People who greet you like a long lost friend, no matter whether you have a story or not. People who thank you for your work, when it is them who should be thanked. They should be thanked for their bravery, strength and hope. The signs of bravery and strength are everywhere and are visible the entire weekend. I see the master of ceremonies nervously get up to speak to the crowd. She soon realizes that they are all her friends even though she may not have met them before. They are her friends because they chose to continue their journey with Threads of Life. Her friends give her strength. I see a mom who lost her teenage son in a workplace accident. She is here for her own healing, but is worried about her children at home. Through talking to a young woman who lost her brother this mom has a glimpse of what her daughter at home is going though. She learns that there is hope. I see the talented family members who find crafting so very healing and choose to share their works of art with the others. It is a brave and strong person who can share their creations. They know they will not be judged here, only loved. They are strong. I watch our volunteers who proudly wear their Threads of Life shirts throughout the weekend. Without them the family forum could not happen. Even through their pain they are strong. I see the people who attend alone and the people who attend with their families. Neither is easy, all are brave. I see the men of all ages who come out of the men’s session feeling like they are not alone, and that is ok to feel angry. They speak of a hope that they did not feel before. You can see it….it is real. I watch everyone travel their own journey of grief, alone but together. Brave and strong and with hope. I thank them for sharing this with me. It is an honour. As everyone returns to their daily routines on Monday I hope the family members look back and reflect on the weekend and can see a bit of what I saw. I hope they realize that they are brave and strong and hopeful. Well said Kelley….Thank you for all YOU do for and with Threads of LIfe. Nicely said Kelley. But remember that we as family members and volunteers would not have the support that we have and be able to do the things we do, without you guys doing all that you do behind the scenes for Threads of Life. So thank you so very much to all of the Threads of Life staff.